At first glance, China has begun to develop a recognisable Western appearance, with corporate chains (particularly fast food and retail) making their way to the West. But in terms of doing business, China certainly has its own style and technique which we need to understand. Learning their business culture is vital to securing work in the Chinese business world. To enter the business world of such a dominating economic power, you need to acknowledge and accept the cultural concepts of the Chinese. CRCC Asia (Chinese Consultancy and Recruitment – organising internship programmes for graduates) arranges for participants to attend an induction day to educate them in Chinese business etiquette and culture. ‘Mianzi’ and ‘Guanxi’ are said to be essential to securing success in such a business environment. ‘Mianzi’, is to show humility or ‘to give face’, ensuring that you read interactions and respond in the necessary manner to build relationships. ‘Guanxi’, is the concept of building the relationship, to network and maintain contact with the people you meet. 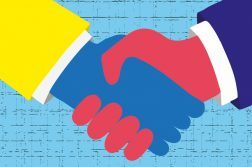 Building trust is also key, business deals are based more on trust than the idea of the contracts themselves. Luise Schafer, who won an OBE for her British services to China, highlights the importance of understanding Chinese history and culture when it comes to employment. Being gracious and tactful are good attributes in any culture or context, but in China these qualities are highly prized. One’s behaviour can have a huge impact on one’s success. An appreciation and understanding of China’s business etiquette and culture should not be underestimated. The increased interest in the way the Chinese operate their enterprises has led to many students choosing to study or work abroad in China. With Chinese business functioning on a different understanding and platform, employers find those who can navigate and thrive in a Chinese business environment, very employable.